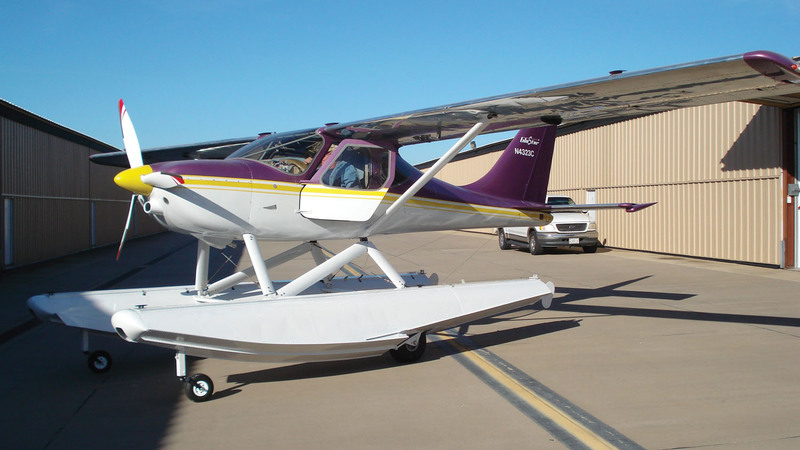 This is my 2010 Glastar on Zenair amphibious floats which I completed over the last 18 months. The first flight took place on October 29, 2012. 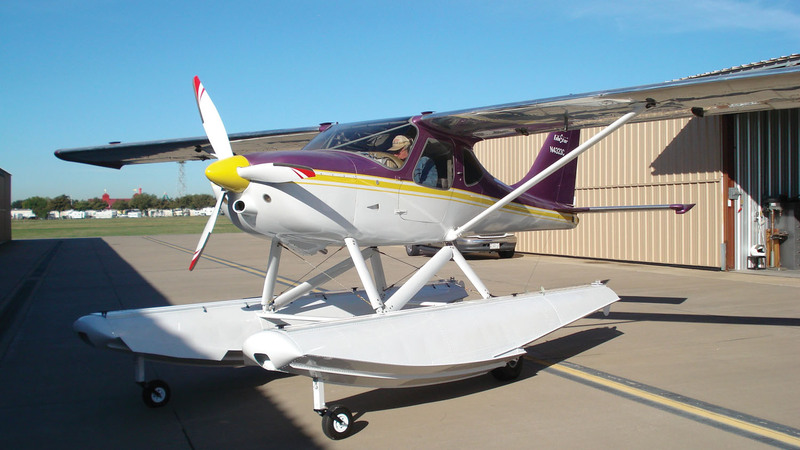 This Glastar #5584 was completed in March of 2010. It is equipped with an ECI IO-360 (188hp), one Slick magneto, Lightspeed electronic ignition and fuel injection. Intake is a cool air scoop and a plenum. The instrument panel has a Dynon 100 and 180 with a Garmin 296 for navigation. I installed aux fuel tanks in the wings and fabricated header tanks. As you can see it has a 3-color fuselage and vertical tail. The wings and horizontal stabilizer are polished aluminum. Thrust is from a 3-blade fixed pitch Catto prop. 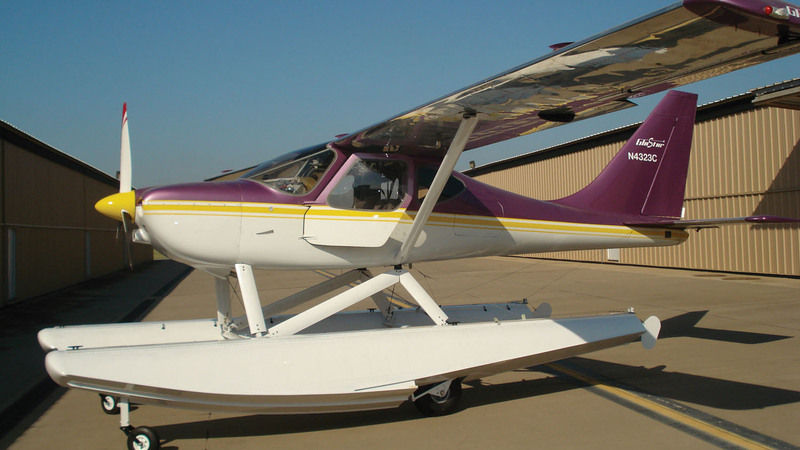 The amphibious floats were built from a Zenair 2200 kit over the past 18 months. The tricycle gear airplane weighs in at 1304 lb and on the Zenair floats 1640 lb. A high speed taxi was done on Oct 15th and had no bad ground handling tendencies while getting to 47 mph where the aircraft wanted to lift off. 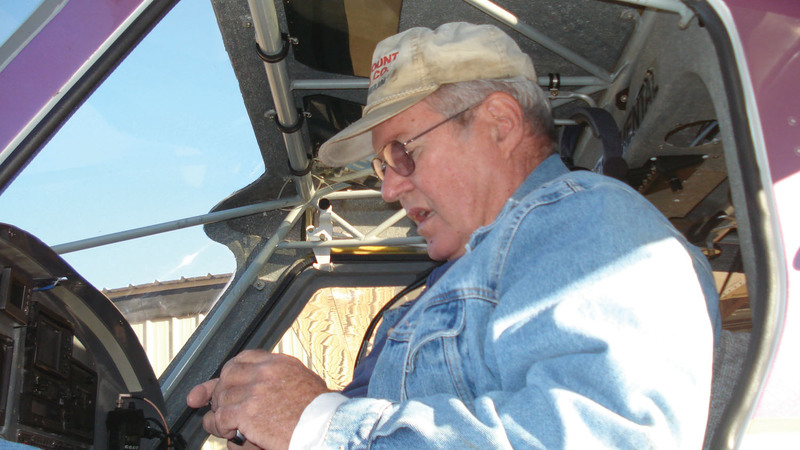 The first flight on the float wheels was on Oct 29–a climb to 3000’ AGL and then doing stalls and slow fight. I returned to the home airfield with one landing and logging 0.5 hrs. A noticeable yaw to the left was overcome with right rudder during takeoff and climb. 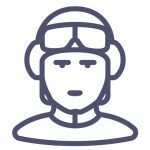 Next articleAre You a Test Pilot?